In May 1993, Head of Creation Records Alan McGhee went in search of an old flame at Glasgow’s King Tut’s Wah Wah Hut but instead happened upon a relatively unknown band who were set to define a generation. A little over three years later, Oasis were performing in front of 250,000 people over two nights at Knebworth Park in the summer of ’96. The vertiginous thrill of the Mancunian group’s rapid ascent during these years is captured brilliantly in Mat Whitecross’ entertaining, funny and gripping documentary film. Bookending ‘Supersonic’ with footage of those epochal Knebworth shows, Whitecross wisely eschews the porcine indulgence of Be Here Now, the subsequent revolving door of band members, the string of mediocre albums and the band’s eventual meltdown, and instead largely focuses on Oasis’ riveting ’94 -‘96 heyday. Though this has led to foolish criticisms of his film feeling incomplete, Whitecross is under no obligation of a concise document of Oasis’ entire career and it effectively serves as the film’s greatest strength; we are left with a tight and trim account of a time that, for many music fans now in their mid-thirties, was just about the most exciting thing going. Using voiceovers from all the key players, still photographs, animations, archive film and unseen concert footage, ‘Supersonic’ unravels the story of the group’s meteoric, and often tumultuous, rise to stardom. The ascent was as chaotic as it was swift and there’s plenty here to evoke the turbulent drama that forever pursued the band; the early tours where entire hotel rooms – let alone television sets –were launched out of hotel windows, footage of a calamitous 1994 gig at the Whiskey a Go Go in Los Angeles as a result of confusing crystal meth for cocaine and past set-lists with current ones, and the fractious sibling rivalry that left the band eternally on the precipice of implosion. As is to be expected, a central focus of ‘Supersonic’ is the relationship between Noel and Liam, a relationship that was both Oasis’ greatest strength and the cause of the band’s eventual demise. While the estrangement that now exists between the two brothers provides a tinge of poignancy and a sharp edge to their contributions, the back and forth voiceovers provide an opportunity for some humorous verbal jousting; for example, Liam’s recounting the tale of a hammer to the back of the head during his school years, is met with Noel’s perfectly timed claim of a solid alibi. The two brothers are consummate purveyors of humorous digs and quotable lines and, not necessarily a staple for a music documentary, the film is funny throughout. We see an intoxicated Liam giving a surrealist allegory about a tin of beans, Bonehead attacked with a fire extinguisher during recording sessions for (What’s The Story) Morning Glory and Noel’s perennial penchant for controversy in his self-professed role as “gobshite” – it seems almost incredible now that a musician’s intoxicated ramblings (“drugs are just like having a cup of tea”) could make the News at Ten. Though the story told in ‘Supersonic’ ended a little over twenty years ago, it serves as something of an artefact of a lost time. 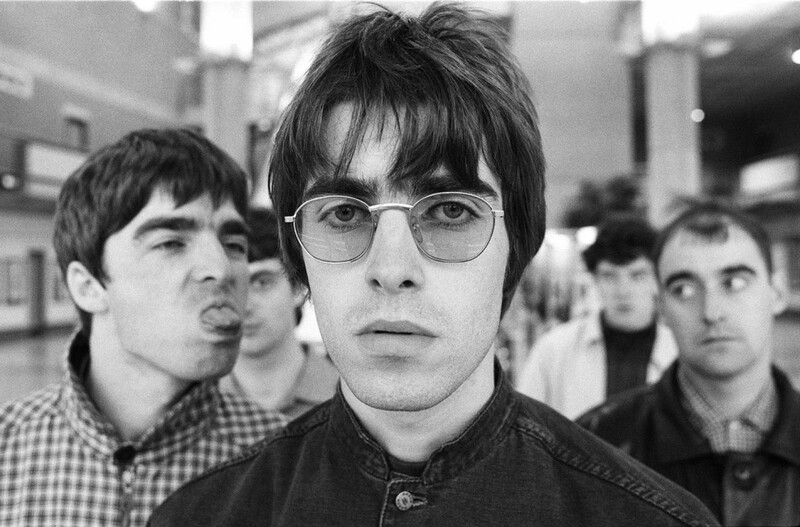 Oasis were the last major band of the old world, a phenomenon that could only have been a product of the pre-digital age. The internet has made music a relatively insular pursuit, the audience now spread far and wide across myriad channels of online discovery and the affinity for music rendered less special in the disposable nature of streaming and file-sharing. 2.6 million people, nearly 5% of the UK population, applied for tickets to see Oasis at Knebworth in August 1996. “It’s no coincidence that things like that don’t happen anymore,” says Noel Gallagher. If Gallagher’s hypothesis is correct then Whitecross’ film at least succeeds as an enthralling keepsake. Tagged documentary, oasis, review, scott hammond, supersonic. Bookmark the permalink.